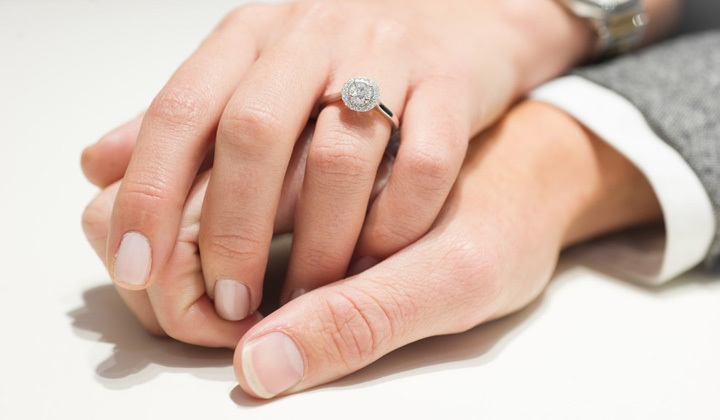 The purchase of a Diamond is incredibly exciting, invariably marking a joyous, special event in your life; we believe the buying experience should also be an enjoyable part of that occasion. It can, however, be overwhelming trying to absorb all the information that is showered upon you without acquiring a certain level of expertise. We have over 70 years’ experience of buying Diamonds which we offer freely to assist and guide you in purchasing the very best Diamond for you and your loved one. 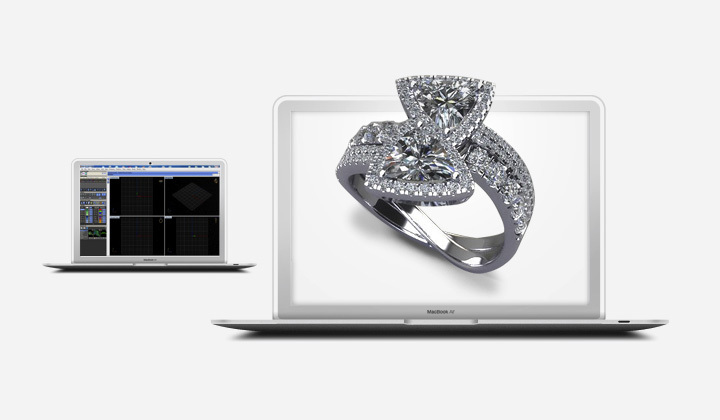 The buying experience we at Banks Lyon Jewellers offer to you is precisely tailored to your individual wants and needs and we aim to make the process as easy and enjoyable as possible. We are here to assist you. You can rest assured that when you buy your Diamond from Banks Lyon Jewellers you can trust us to source the best Diamonds for the price. All our Diamonds are ethically sourced. It is our aim to make the purchasing process as simple, discreet and enjoyable as possible. 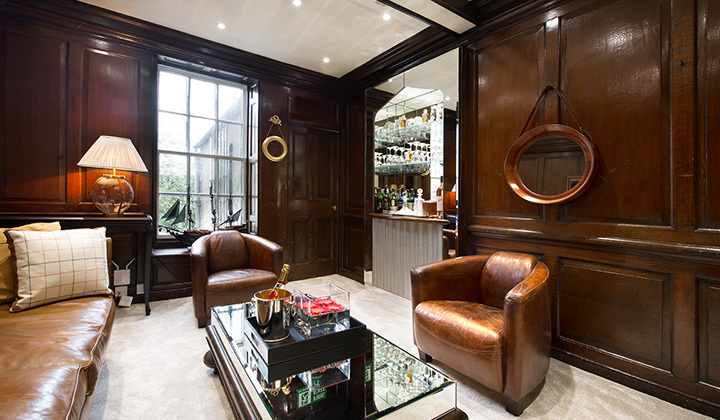 If you are struggling to know where to start we invite you to a one to one consultation in our private bar where you can talk to us over a glass of Champagne, pint of beer, or a cup of tea or coffee. At no time are you under any obligation. We are confident you will be impressed with our quality and, equally important, value. With such an extensive collection of rings we are sure to have one to match your aspirations. In the unlikely event we do not have this in stock, we can create a bespoke ring just for you. The Banks Lyon name has been synonymous with quality for over 125 years, and we are proud to put our name to each and every engagement ring we have available. We provide only the finest jewellery and a level of trust that cannot be found elsewhere. Our passion for excellence stems from decades of experience, hand-selecting diamonds and gemstones and working alongside only the world’s best manufacturers. As such, you can have complete reassurance and peace of mind knowing that you are receiving only the finest quality rings at the very best price. 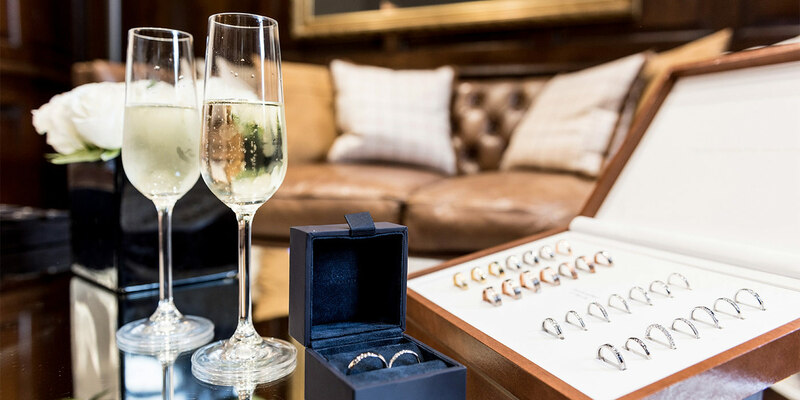 We understand that discretion is essential when making a surprise proposal, and have an exclusive private bar tucked away in the back of our shop where you can discuss your vision with our experts in a relaxing secluded setting. 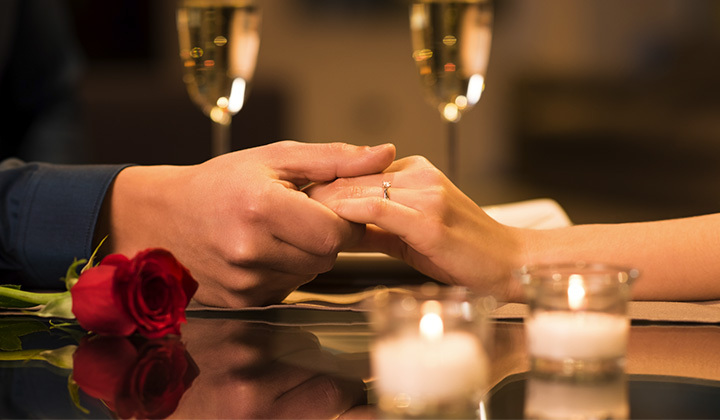 With a selection of drinks on offer – from tea and coffee to Champagne or a pint of locally selected beer and real ale – you can enjoy a drink with friends, family, or whoever you wish to share this intimate purchase with in order to ensure you find the ring that is right for you. 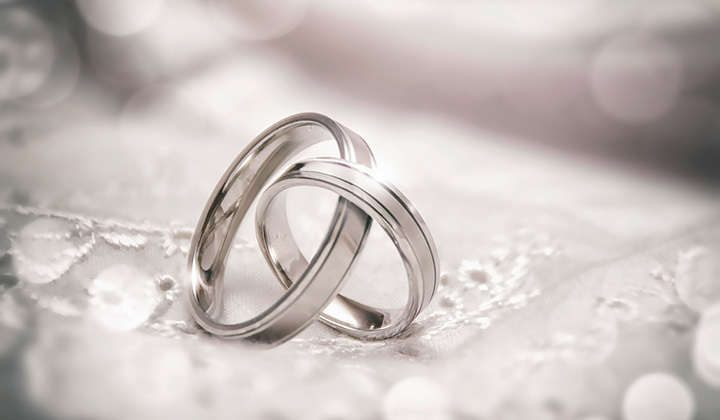 Our service never ends with a sale, to enable you to enjoy your engagement ring for years to come we offer a complimentary life time cleaning and polishing service for your Banks Lyon rings alongside a valuation for insurance certificate. Champagne wedding ring experience within our private bar area. We have found that more and more people wish to be original in their choice of jewellery and are delighted to offer to you a bespoke design service. From your initial consultation and drawing up sketches, right through to the final product, you can be part of creating your individual dream ring. We can source Diamonds for you, or if you have stones of your own - from an out of favour old piece of jewellery or an heirloom that is outdated - we can create a new design for you. Should you wish to book a no obligation consultation or a Diamond Masterclass, or simply have a couple of questions, contact us via phone or email or pop in and see us on Church Street, Lancaster.